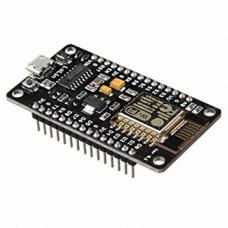 NodeMCU is a IoT Module based on ESP8266 wifi Module. NodeMCU uses Lua Scripting language and is an open source Internet of Things (IoT) platform. This modules has CH340g USB to TTL IC. It is based on ESP8266, integates GPIO, PWM, IIC, 1-Wire and ADC all in one board.